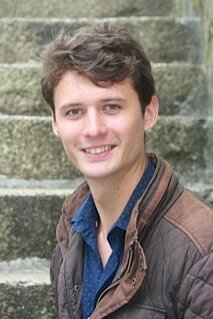 ​Piran Legg is a Bass - Baritone originally from Kent and a graduate of Kent University, where he studied history. He is a Masters graduate of the Guildhall Opera Course and has completed his studies on the Artists Diploma (2016). He has performed extensively in Opera and concert around the UK and abroad, taking on roles such as Schaunard in La Boheme at Cadogan Hall, Antonio in Le nozze di Figaro and Escamillo in Bizet's Carmen. Piran also enjoys more contemporary projects and has taken part in cutting edge new work in festivals around London and the U.K. He has recorded a C.D. of new songs written on a theme of "Songs of the Big Smoke" with Song in the City and has played the roles of Crow and Eric Satie in workshOPERA's acclaimed productions of Boys of Paradise and Seven Velvet Suits respectively. He also premiered the role of King Erysichthon in Edward Rushton's chamber opera Cicadas with the LSO. As well as performing on the Operatic Stage, Piran has a busy schedule of concert performances. In 2015 he was the baritone soloist in a performance of Handel's Messiah at Amiens Cathedral as well as singing the role of Danieli in a concert performance of Wagner's Das Liebesverbot with Chelsea Opera Group. In May 2016 he was thrilled to return as Baritone soloist in Walton's Belshazzar's Feast with Symphony Orchestra and chorus in Canterbury Cathedral. ​2017 saw Piran undertaking a wide variety of projects, including Bach’s St. Mathew Passion and Elgar’s masterpiece The Dream of Gerontius, working with Bergen National Opera on Il Turco in Italia and taking the role of Samuel in Verdi’s Un Ballo in Maschera, with Winslow Hall Opera. Projects in 2018 included a role debut as Ferrando in Verdi’s Il Trovatore, an exciting Autumn working on a new opera with Scottish Opera and a return to Bergen National Opera in Wagner’s The Flying Dutchman. 2019 saw Piran perform as Colline in Paisley Opera's exciting production of La Boheme. This summer has performances lined up as Banquo in Verdi's Macbeth in Dundee, as Fairy in a new production of Purcell's The Fairy Queen with Waterperry Opera Festival and as Cascada in Opera Bohemia's production of The Merry Widow. In his spare time Piran is a lifelong Charlton Athletic football fan, as well as being a keen amateur cricketer and footballer.